In a bid to modernise the public transport system and increase passenger satisfaction, (West Yorkshire Combined Authority) WYCA is seeking to implement more digital payment options for passengers as demand for cashless and alternative payment options continue to rise. The move, recently approved by the transport committee and revealed by the UK Auhtority website, will see a digital payment strategy that takes a ‘mobility as a service’ approach which involves encouraging more public transport users to opt to pay for their tickets via an app or web portal to access different types of transport, and to make payments through an account or single transaction. WYCA also announced that the app would make it easier for users to plan journeys, then book and pay for them through one channel. The strategy also involves increasing the use of the MCard scheme, which has already proved to be a big success, with the WYCA teaming up with regional transport authority Transport for the North, as well as Cammax on its integrated SMART Ticketing project. The MCard is a smartcard that makes travelling on buses and trains across West Yorkshire simple. All passengers need to do is load their MCard with a travel ticket via a SMART ticketing machine before enjoying hassle- free and unlimited travel on buses and trains in selected zones across the region. In fact, Cammax was initially awarded the contract to supply the West Yorkshire Passenger Transport Executive (Metro) with SMART ticketing kiosk machines back in 2013 and since then SMART ticket vending machines have been successfully installed at various locations across the region including most notably at the new Temple Green and Elland Road Park & Ride sites. The ticketing kiosks also allow commuters to use their ITSO Smart cards to access a range of products available on the kiosk machine. The simple to use interface ensures a quick transaction at the kiosk so queues are kept to a minimum. This will ensure that the members of the public using the Park and Ride facility will have a stress free and efficient way of entering the City Centre. 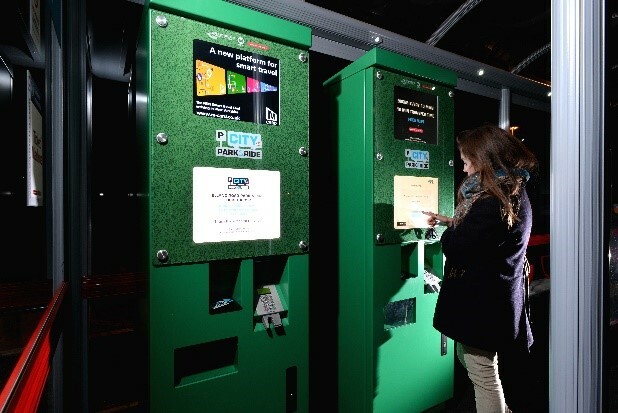 SMART Ticketing kiosks help speed up transactions by removing cash from travel. Microchips electronically stored on SMART cards allow members of the public to load tickets and cash values onto cards which provide several benefits to both the public, operators and transport organisations. For operators, the kiosks remove cash from buses and ticket machines which is expensive to manage and for passengers, registered cards can allow the public to cancel or re-claim lost tickets and the machines also offer the ability to advance purchase at convenient locations.